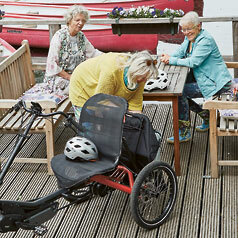 As a recumbent trike with above-seat steering, the TRIGO UP offers great stability and exceptional comfort. And is a bright-red declaration of the resistance against those spoilsport attitudes toward aging. 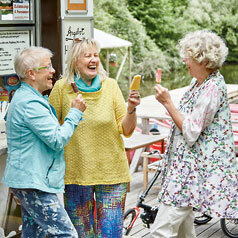 Who says that getting older means slowing down and always wearing beige? The world is colorful, and so are we! And we'll "keep on rolling" as long as we can. The TRIGO UP was designed for young-at-hearts like us. 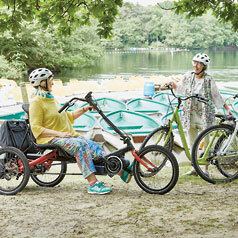 It combines the comfort and safe stability of a recumbent trike with the familiar handling of above-seat steering. By the way: with the TRIGO UP you'll always have a comfortable place to sit and relax in the most beautiful places, for example on snack breaks during bike tours. Blissful! The modules move along guide rails and are infinitely adjustable. 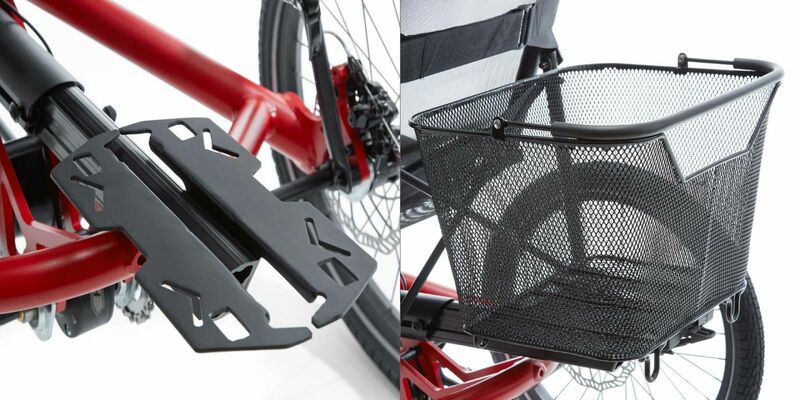 Therefore, the TRIGO UP can be quickly adjusted to any rider between 4'7" and 6'7" in height. 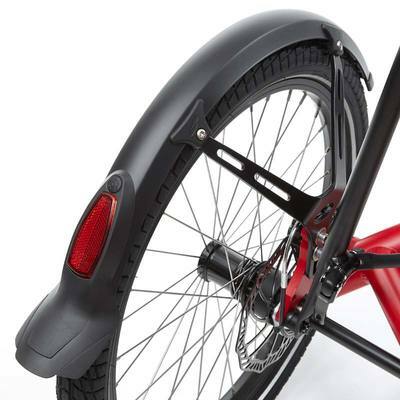 For the length adjustment, all you have to do is open a lever and slide the seat into the appropriate position. No need for bicycle tools and no need to shorten or lengthen the chain! 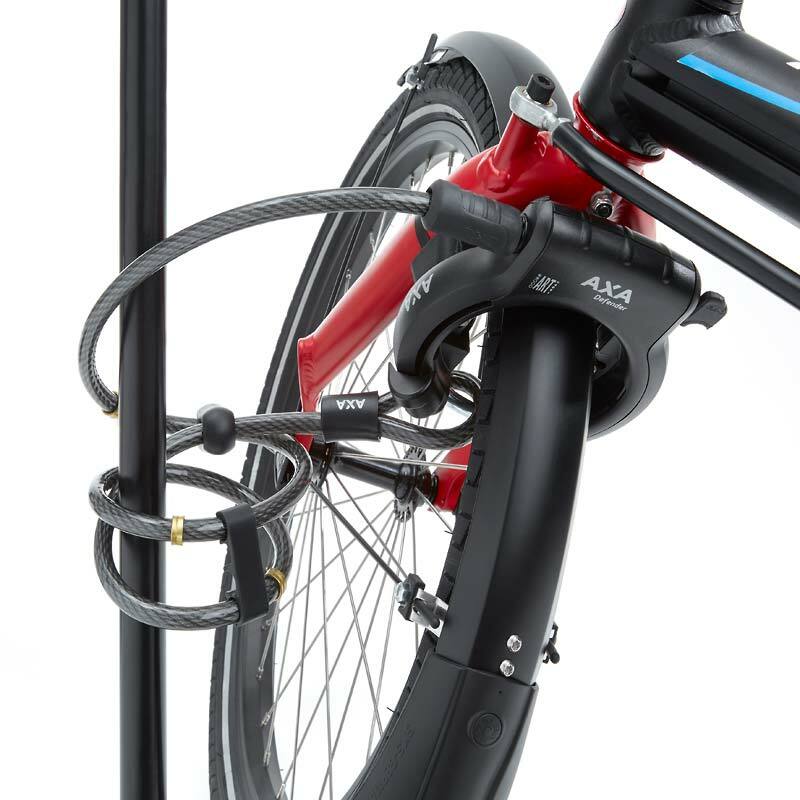 Also effortlessly adjustable are the height and tilt of the seat and the height, angle and lateral position of the handlebar. "My goodness, what is she looking for this time? A sun hat, a sweater, seat cushions? It's amazing how much fits in that ingenious bag!" 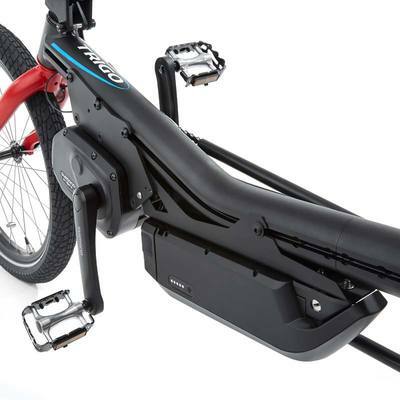 The ROLLER BAG is so roomy that, on the way home from your ride, you can even load up on supplies at the farm shop. And for those who prefer to travel light: the Racktime "Baskit" fits perfectly to the recumbent trike. 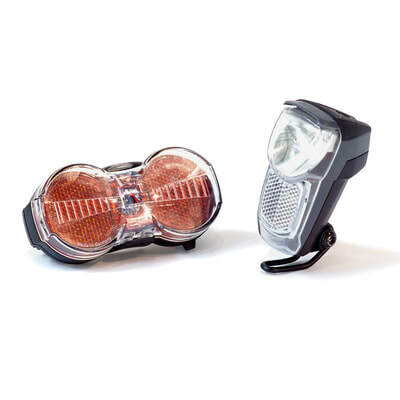 The pedal pushers and penny pinchers who purchase the non-motorized version of the TRIGO UP can have a Shimano Steps mid-motor retrofitted any time they want! 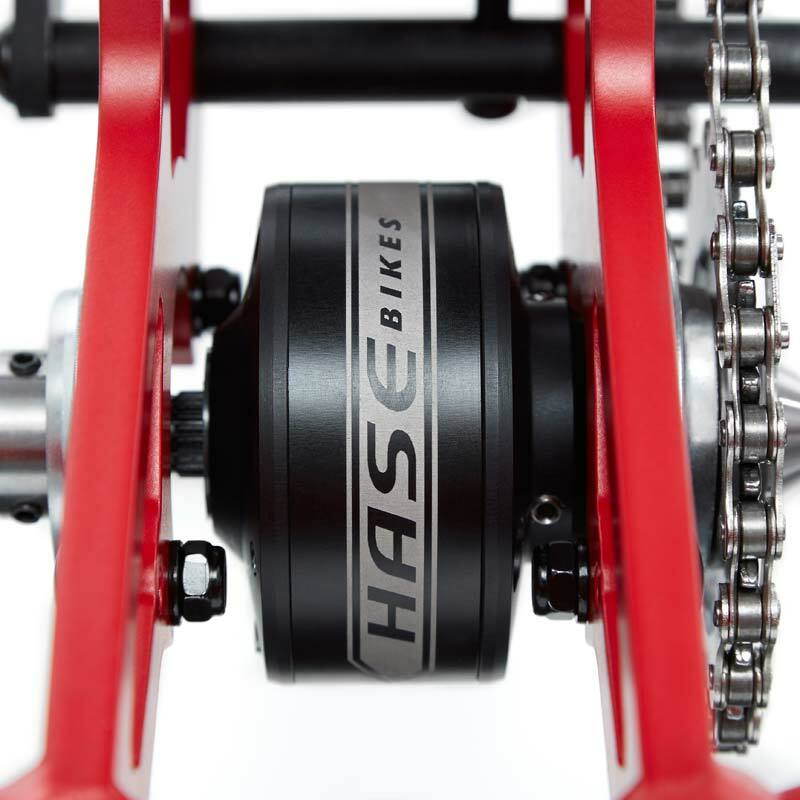 That's what makes this model so special: the extremely quiet and efficient motor can be mounted - and also removed - in a few easy steps. 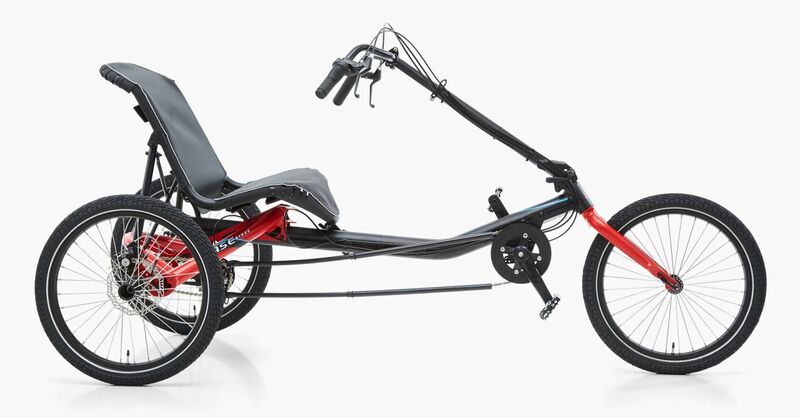 Check out the TRIGO recumbent trike with under-seat steering too!